British comic book icon Judge Dredd is to star in his own TV show. 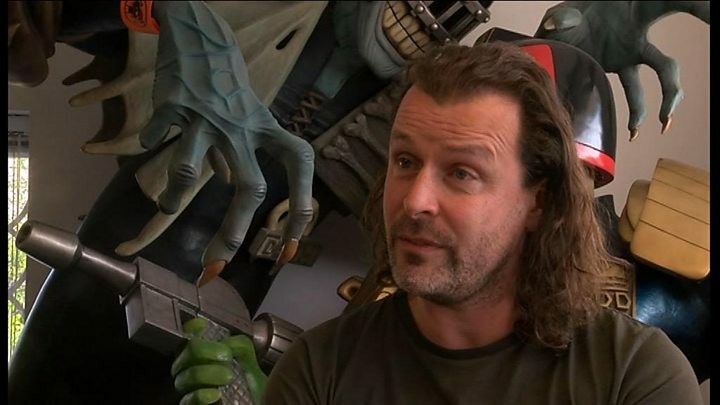 Rebellion, which prints the character's stories in 2000 AD, is teaming up with studio IM Global to produce the "big-budget" series. It is the first time the futuristic lawman's on-screen escapades are being overseen by the Oxford-based publisher. Rebellion said development of the project, titled Judge Dredd: Mega-City One, has begun, with the cast to be announced at a later date. The programme will be filmed in the UK, a spokesman said. 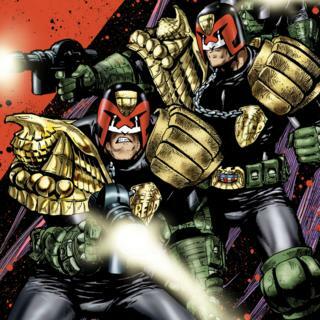 Jason and Chris Kingsley, the owners of Rebellion, said: "We're very excited to be beginning the journey to get more of Judge Dredd's Mega-City One on the television screen. "Thanks to the legions of fans who have kept up pressure on social media, and a lot of background work and enthusiasm, we aim to make a big budget production that will satisfy both our vast comics audience and the even greater general screen-watching public." Judge Dredd patrols an over-populated metropolis in the 22nd Century, where he has the powers of a judge, jury and executioner. Created by John Wagner and Carlos Ezquerra in 1977, his satirical stories took inspiration from hard-edged cop movies and the punk movement. He has previously been portrayed in films by Sylvester Stallone in 1995 and Karl Urban in 2012. Mark Stern, executive producer on the show, previously worked for the Syfy channel on Battlestar Galactica. He described Dredd as "one of those seminal sci-fi properties that seems to only become and more relevant with age". He added: "Not only is it a rich world with biting social commentary, but it's also fun as hell. "As a fan of the comics and both films, it's a dream come true to be able to work with Jason and Chris in adapting this for television." IM Global's previous productions include the Oscar-winning Hacksaw Ridge and Martin Scorsese's Silence.